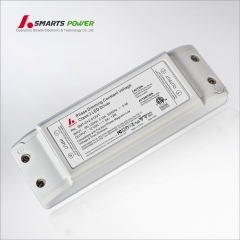 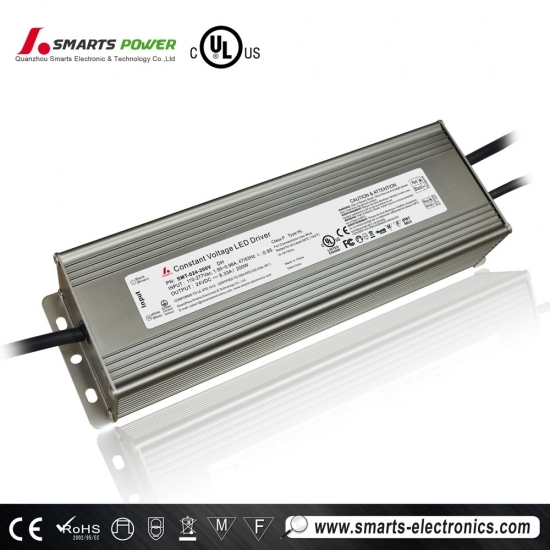 The 100W Electronic 120-277VAC 0-10V Dimmable UL Listed Driver is the perfect solution for any commercial application. 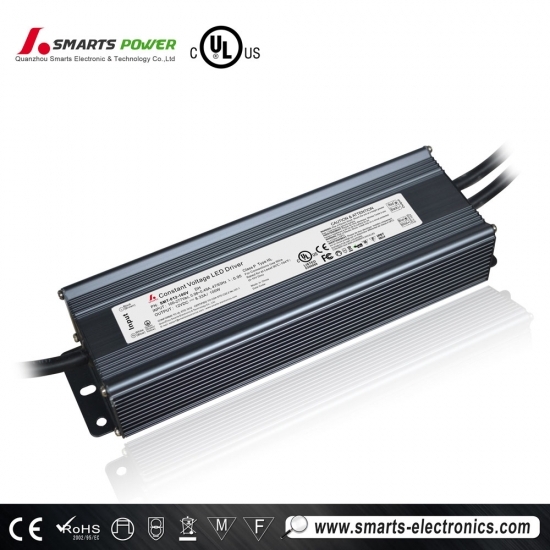 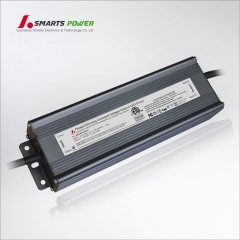 These 277Volt input LED drivers are ideal for commercial applications designed with 0-10V systems, are rated for wet and dry locations, and offer a smooth, continuous dimming. 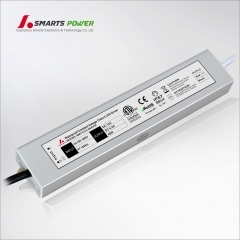 constant voltage working mode, 110-277VAC wide input range 0-10v dimming ac dc led transformer 24 volt 120 watt, IP 67 rate suitable for dry/damp/wet locations, also with short circuit/over current/over voltage/over temperature protection. 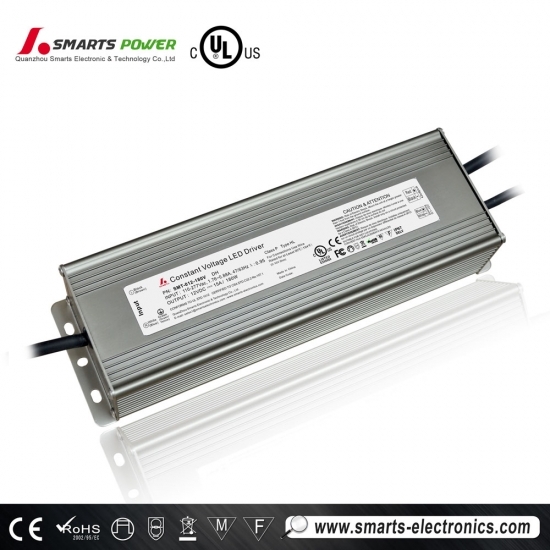 CE Class P Type HL UL/cUL RoHS, FCC listing input voltage 110-277v ac to dc single output 24v 150W SELV 0-10v dimmable led power supply, working voltage working mode, 255*80*53mm（L*W*H）dimension, compliance to worldwide safety regulations for lighting. 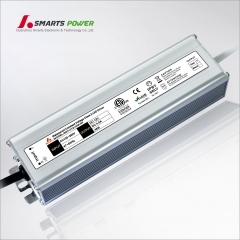 110-277v input ac to dc 24 volt 200 watt 0-10v dimmable led power supply waterproof compliance to USA canada safety regulations for lighting. 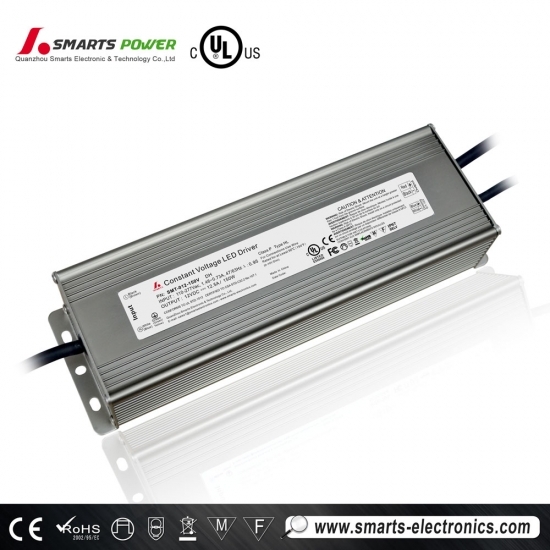 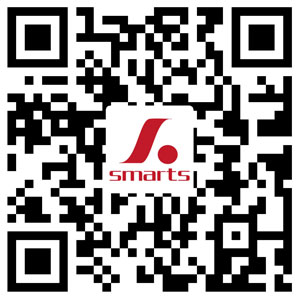 with CE Class P Type HL UL/cUL RoHS approval, 0-10V/ 1-10V/ 10V PWM or Resistor dimming function.